Mark Webber, Brendon Hartley and Timo Bernhard celebrated being crowned the 2015 FIA World Endurance Drivers’ Champions after a thrilling Bapco 6 Hours of Bahrain today. 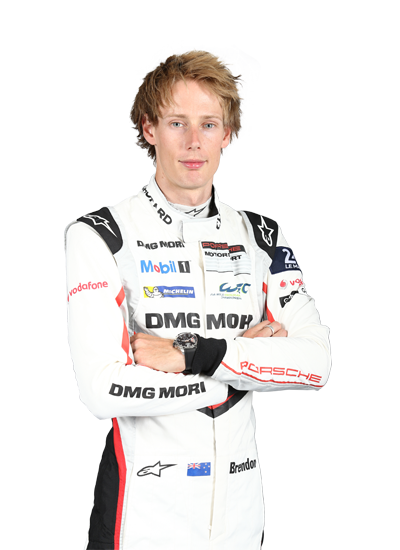 Driving the No.17 Porsche 919 Hybrid, the trio finished in fifth position after recovering from technical problems which saw them lose nine laps to the leaders for visits to the pits. With the sister No.18 Porsche 919 Hybrid of Neel Jani, Marc Lieb and Romain Dumas winning the race ahead of the No.7 Audi Sport Team Joest car of André Lotterer, Marcel Fässler and Benoit Tréluyer, it ensured that the No.17 Porsche drivers enjoyed a five point advantage in the final provisional championship standings. After four straight victories at Nürburgring, COTA, Fuji and Shanghai, the No.17 Porsche drivers were deserving champions after a tough and thrilling campaign where they fought tooth and nail in a riveting title contest with the No.7 Audi drivers. Ironically it was the most challenging race of the season for the new champions, as an engine actuator problem lost them several laps and threw into doubt their chances of taking the crown. 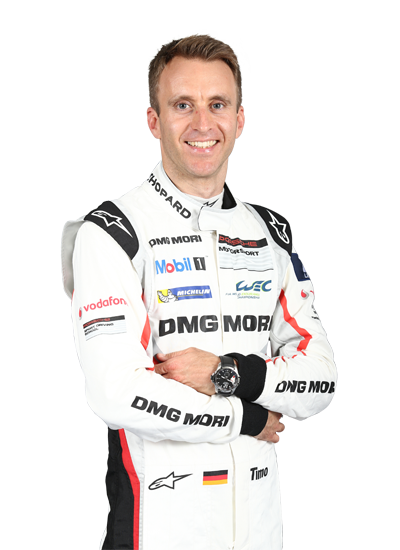 The problems struck after just thirty minutes when Timo Bernhard was forced to pit and the car lost eight laps. A fine recovery drive ensured that they were soon back in to the top six but, at that stage with the No.7 Audi leading the race, they still needed to place fourth to take the title. After a brake disc problem struck the No.8 Audi R18 e-tron quattro, and the No.18 Porsche 919 Hybrid fought through to the front of field after a thrilling fight with the Benoit Tréluyer driven Audi, it ensured that the No.17 Porsche would have sufficient points to take the title. 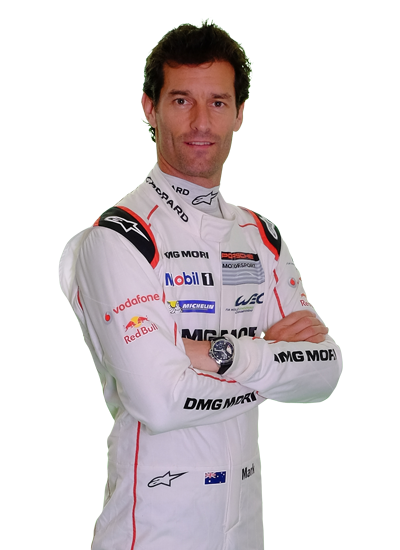 “It was super stressful, but thank God we got our car home,” said Webber. “It wasn’t the cleanest day, but we had enough points and had enough wins this year to be world champions. He was forced to make an unscheduled stop after losing power on track several times. The Australian was even forced to complete the resulting pit stop on the hybrid system alone, before bringing the car home in fifth place. Celebrating a long overdue win in the Bapco 6 Hours of Bahrain today, Neel Jani, Marc Lieb and Romain Dumas drove a flawless race to maintain Porsche’s six race unbeaten streak in the FIA WEC. After a scintillating fourth hour battle with Benoit Treluyer’s Audi, Marc Lieb was able to build a small gap before handing over to Neel Jani who pulled away to secure the victory and thus, in turn, assist the No.17 crew to take the title. Claiming third in the LMP1 class and ensuring a hugely popular first podium of the season was the No.2 Toyota Racing Toyota TS 040 HYBRID. Alex Wurz was able to see off his career from the podium and receive the applause of the whole paddock as he bids farewell to an incredible career. The last race for the Toyota TS 040 designated LMP1 car also netted a fourth place as Anthony Davidson, Kazuki Nakajima and Sébastien Buemi finished just 1.117 seconds behind. There was more of the season-long frustration for the No.8 Audi R18 e-tron quattro trio of Loic Duval, Lucas Di Grassi and Oliver Jarvis. They led for periods during the first half of the race, but a front left brake disc problem dropped them out of contention, and they ultimately finished a disappointed sixth. The LMP1 Privateers class saw a clear victory for the No.13 Rebellion Racing R-One-AER of Dominik Kraihamer, Mathéo Tuscher and Alexandre Imperatori. It was the second victory of the season for the No.13 car after they capitalised on some technical problems for the sister Anglo/Swiss car of Nicolas Prost and Mathias Beche. The No.26 G-Drive Ligier JS P2 Nissan of Sam Bird, Roman Rusinov and Julien Canal took the silverware in both the LMP2 Drivers’ and Teams’ championships in style with a late charge to victory. Sam Bird overtook Nick Tandy’s KCMG ORECA in the closing stages to confirm a fourth win of the season. It was a typically close and exciting LMP2 race that saw not only the KCMG ORECA 05 of Matt Howson, Richard Bradley and Nick Tandy lead at stages, but also the Signatech Alpine of Tom Dillmann, Paul-Loup Chatin and Nelson Panciatici. Ultimately it came down to a straight battle between KCMG and the G-Drive No.26 in the final stint when the Russian team took on new left hand side tyres which enabled Sam Bird to hunt down and overtake Nick Tandy for the victory. The battle for the final podium position in LMP2 was intense between the Nelson Panciatici driven Signatech Alpine and the No.28 G-Drive Racing Ligier-Nissan of Pipo Derani, who made a sensational last lap pass into turn one to claim the position. This secured the sixth podium of the season for the car which the young Brazilian shares with Gustavo Yacaman and Ricardo Gonzalez. It was a suitably spectacular and nail-biting end to what has been an exceptional 2015 FIA WEC season, one that will be remembered for many years to come. The countdown to the first round of the 2016 season opener at Silverstone next April has already started!